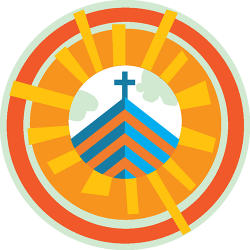 Music & Worship Arts Week is an event highlighting the arts, worship, education, and renewal in the beautiful mountains of North Carolina at Lake Junaluska. It is designed for all worship leaders of all ages: musicians, artists, dancers, actors and pastors. The Gospels reveal Jesus’ teachings through personal encounters and conversation. How may we encounter Jesus through these encounters? What can we learn through these personal encounters? We’re extremely excited about our 2018 leadership, all of whom bring a wealth of experience and talent to work and worship with us at Lake Junaluska. Learn more about each of our clinicians. Highlights of this year’s schedule include an organ recital by Mark Mummert, an evening prayer service of healing on Tuesday night as well as the ever-popular Youth Talent Show. As always, Thursday will be filled with choral, dance, instrumental and handbell programs performed by event participants. Participants have a variety of performance options to choose from, including dance, choral and handbell options. Children and youth also have their own performance tracks. Want to invite your friends to come with you to the Lake this summer? Here are some helpful tools to share! Use our Journey: Music & Worship Arts Week 2017 recap and highlight video as promotion for 2018! The video is available on YouTube and can be shared on social channels or used in your local church setting. Founded to support musicians in The United Methodist Church, The Fellowship has grown to include worship artists, clergy, and laity involved in all aspects of worship from a variety of denominations and experiences.